Disclosure: this is a sponsored post. All thoughts, opinions and hair are all my own. My Frog Princess is entering her 7th year of life full of zest, imagination, humor and...hair. With 3 different hair types in what can only be described as an exquisite mane, hair is a central topic in our home. You see, I didn't always love my hair. I haven't even loved my hair half my life. Which is probably difficult to imagine if you follow my hair shenanigans on Instagram. But it's true. I've told you before about all the negative comments I heard growing up about my curly hair. It's not surprising. Many of my friends share similar stories. My hair was relaxed before my 5th birthday. And I recall spending time under hair dryers even back then. My hair, in its natural state, was never good enough. "Dove™ Hair found that 8 in 10 women feel pressure to wear their hair a certain way. For many, these pressures begin at an early age." I recall sitting my girl at a year and a half and combing through her short waves not realizing that the thickness had not yet set it and the 3 different hair types had not fully come into their own. But, that did not matter. I would get excited when I did her hair and would smile away and make it a fun time. Snacks, favorite TV shows and words. "Your hair is so pretty!" "Look at all these curls!" "I love your hair!" Later, when her hair grew thicker and longer, I stopped straightening my own. I hadn't relaxed my hair in years but still had Tameka straighten it with the hot comb and irons. Those were set aside. I wanted her to see my curls so that she would instinctively learn to love her own. You see, little girls love their Mamis. They love everything about them. And they will learn to love what their Mamis love. So curly it went. Then short. Then purple and now, purple and teal. I want her to know she can do anything and everything. In life and with her hair. We had a long conversation about long hair and short hair. About the fact that it's okay for her to like her hair long but it doesn't mean that short hair isn't beautiful. I presented her with the standard of beauty that she could readily accept. I present her with these regularly. Darker skinned women, bald women, curvy women, women of a lighter hue than mine with curly blonde hair, cinnamon skinned women with straight black hair. And I ask, what do you think of this picture? I let her ponder, we talk, I reinforce. When I cut my hair I said to her "it's just hair!" because she was not happy at what I'd done. And it might seem superficial or conceited to focus so much on this. If you think that, I invite you to read up on #beautybias. It is not easy navigating all of these canals through the river you must cross in raising a strong Black girl. 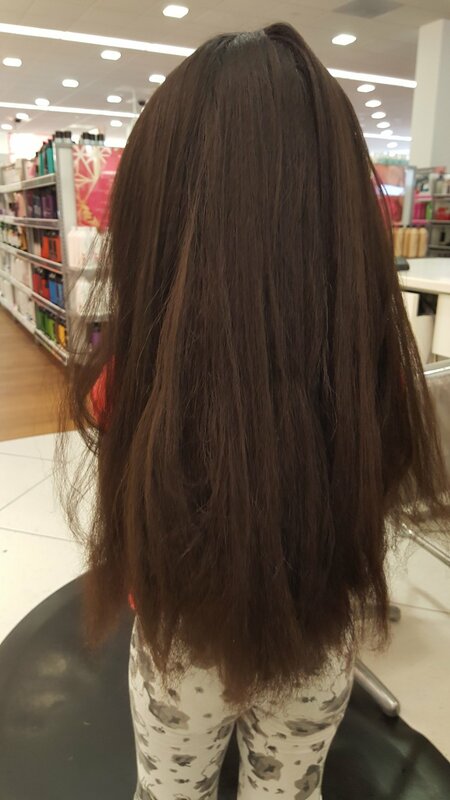 Though it's "just hair", I must teach her to love it, to understand all the different things she can do with it, to instinctively know that it is beautiful and she is beautiful. Because so many times, the outside world does not. So many times, what we see in magazines or on TV does not match what's looking back at us in the mirror. So, when we sit for the 2.5-3 hour hair ritual, the words pour out. I pull her hair and touch it to her hip bone. "It is soooo long!" "It is soooo beautiful!" She touches it and smiles. That smile that radiates in her eyes, the one that you know is creating grooves in her soul that are filled with confidence, self love and an assurance that her beauty is more than skin deep but also, a total package. I may or may not have had tears in my eyes when I learned of the #LoveYourHair campaign. Y'all, THUG TEARS! Because here it was, something for everyone to see and not just me on my soapbox. 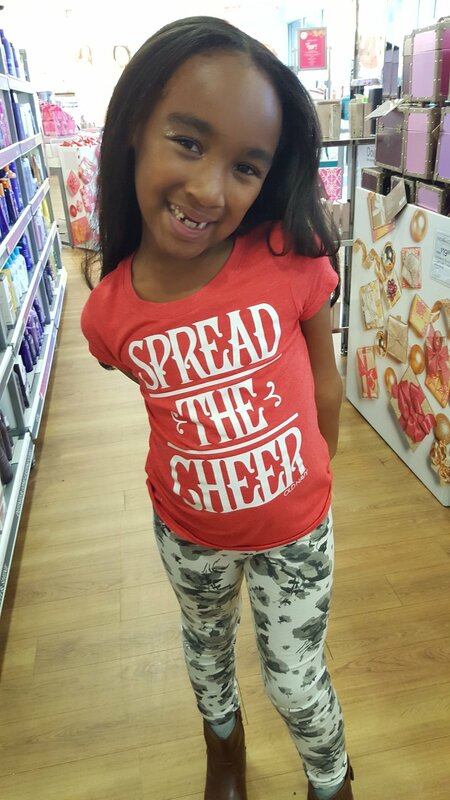 This campaign is a social mission to get us talking about how and why we should share hair positivity with our daughters. And I am here. For. All. Of. It! Dove™ Hair found that 82% of girls learn to care about themselves from their Mamis. So, we have our work cut out for us, ladies. Let's start now! Let's celebrate their hair today so that she can love her hair tomorrow. Are you with me? If you are, head on over to the #LoveYourHair page and create and share your very own message. Check mine out. Let me see yours! Show me how you're teaching her to love her hair! Disclosure: This is a sponsored post written by me on behalf of Dove™.